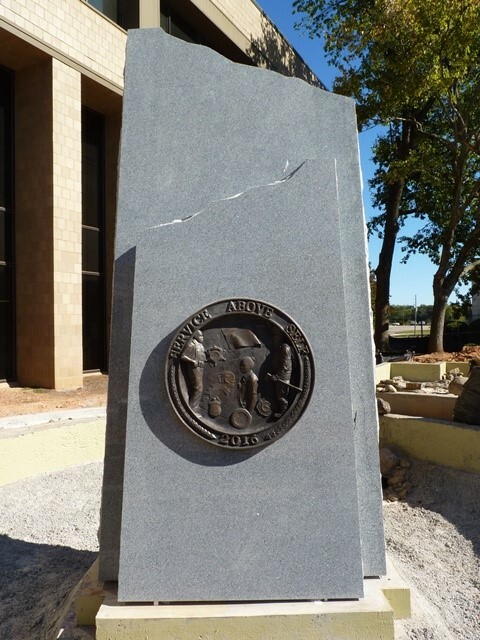 The Rotary Clubs of Gainesville, Hall County and South Hall began partnering with a number of community volunteers several years ago to honor local public safety personnel, who, through the choice of their profession, reflect the Rotary motto: “Service Above Self.” That effort soon became the catalyst for an entire renovation of Roosevelt Square, where the monument is placed. Preferred parking for Thursday’s celebration will be in the empty lot adjacent to the Holiday Inn. Access to that lot can be found off Jesse Jewell Parkway, and parking attendants will be available. Additional parking will be available in the Brenau Downtown Center parking deck as well as on the square. In the event of inclement weather, the ceremony will be held inside the Brenau Downtown Center.